Abigail Pressman has waited for the day when the building which houses her bookstore will become available for purchase and she can expand her business. She knows the day is coming soon and is dreaming big -- until she finds out the building has been sold to a cash buyer with no warning, and he wants the entire space for his new medical practice. Widower Jacob Willoughby has moved to Loves Park, CO, to get a fresh start for himself and his daughter. Still grieving and unable to forgive himself after his wife's death, he is hoping the new town and the work of renovating his building will help him move on. It's too bad Abigail's shop will have to close, but there just isn't enough space for his plans otherwise. Loves Park is known for its focus on romance, including the Valentine Volunteers who work together on community projects and occasionally help a single girl find a husband. Although Abigail has thought their work was silly in the past, she is now thankful for their support as she tries to rally the town around her business and find a way to save it. 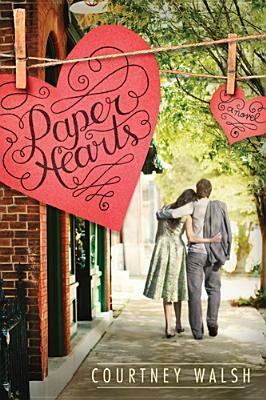 When she comes across an envelope of paper hearts while doing work for the Volunteers, she has no idea that those hearts are part of an ongoing story that will soon captivate her and all of Loves Park. I enjoyed Abigail as a character and the way she was able to grow in self-confidence through this story. She was just floating along, keeping many protective barriers around herself, and then through circumstances was able to learn to look beyond herself and find fulfillment in being in community and serving others. On the other hand, I felt like Jacob was a weak character who didn't stand up for himself or others, always thought he should apologize and rarely did, and even accounting for his past it was a lot to overlook. Courtney Walsh is another author I first became familiar with through The GROVE, and I would read another of her works if given the chance. The characters were very complex and thoughtfully written, and the small-town charm was true to life. It might not have been everything I hoped, but I still got hooked on the story and had a hard time putting it down as the plot's puzzle pieces began coming together. What would happen if people's private conversations appeared online? When a website with just such information appears, the town of Marlo goes into a panic. Who is listening to the discussions people have in their own homes? All the conversations are anonymous, but sometimes the speakers are easily identifiable, and those people are being held publicly accountable for what they said in a moment of frustration or when they were confiding in a friend. When violent activities spike over the website, reporter Damien Underwood is on the case. He and his best friend, police officer Frank Merret, begin looking the case even while facing problems in their personal lives. Frank can't quite get over the fact that his wife left him several years earlier. Damien's home life looks ideal, but he has concerns about his two teenage children. Damien's wife, Kay, is trying to make new friends with the other cheerleading moms, but the drama and the gossip might be more than she can handle. Will those things cloud out the opportunity for giving and receiving true friendship with one who needs it? As the town of Marlo gets a little crazier each day, Damien can't stop thinking about the power of words. We can use them for good or for evil. When evidence starts cropping up that Frank or Damien himself could be behind the website, how can they find the real perpetrator? This was quite an interesting and enjoyable read. Very thought-provoking. In the end I felt there was a lack of properly wrapping up storylines, and the person responsible for the website had been the very first person I guessed it to be. Overall this is one I would recommend, and we would all do well to think a little more about the words we use every day to tear people down or build them up. May we always use the power of words for the good of those around us! A grief-stricken widow, Juliet Belleno rarely leaves her house. She spends her time working on her blog, and she loves writing book reviews. Her favorite author is Patrick Reagan, and Jules is disappointed when his latest bestseller leaves her with an unfavorable impression. She shares the following thought with her readers: "Don't tell me it's terrifying. Terrify me." When she wakes up tied to a bed with her own words scrawled across the ceiling, Jules can't believe it. Patrick Reagan has kidnapped her and intends to take her up on her challenge. Tucked away at his remote writing cabin, will the world even notice that this near-agoraphobic woman is missing? Police officer Chris Downey, former partner of Juliet's husband, is called to investigate Jules' disappearance by her father, but his alcoholism makes him a questionable source of info at best. There's no evidence that Jules did anything besides perhaps take a trip out of town. Feeling he's failed his partner by not keeping a better eye on his widow, Chris digs into matters beyond his official capacity and begins to run into strange roadblocks which only pique his curiosity further. As the days pass, Jules is trying to figure out the mind games Patrick is playing with her. Why is he asking her to critique the novel he's working on? Why does he have inside information on her husband's murder? What does the yet-unpublished debut author Blake Timble have to do with anything? The layers of plot kept me quickly turning pages to unravel the mystery. If you've followed me here at my book review blog, you might know that this is not the kind of book I usually pick up. I'm not a fan of any kind of scary suspense. 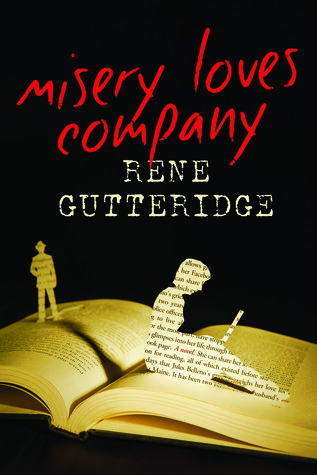 However, someone assured me that this story wasn't creepy, and as a reviewer myself I was highly intrigued to see the story Rene Gutteridge would weave around one of my kind, as it were. I thought it was well done! She also did a good job bringing faith into a desperate situation where neither of the main characters knew much about Jesus to start with. If you enjoy a good mystery this is one you're sure to like! Meghan Connors has worked hard to earn her way in the Secret Service. She receives a great honor when she's assigned to protect the Vice President's daughter, but leading the team is Ash Zinders, notorious for not wanting to work with female agents. There's not a lot of time for feuding, as Lindsay's self-destructive habits and outside threats against her life keep the stakes high. Lindsay and the team are hidden away on a south Texas ranch while she detoxes from her latest addiction. Their location is supposed to be a secret, known only by those directly involved. Yet as the threat escalates and terror begins touching the ranch, the Vice President refuses to have his daughter moved. Who is in his ear convincing him to leave her there? How high up does the plot to kill Lindsay go? Learning to work together, Meghan and Ash must solve the puzzle before they lose their protectee or their very own lives. Overall this was an enjoyable action adventure. I had a problem with the way Ash was portrayed at the beginning, as both a man of private faith and someone who could easily demean others, especially fellow female agents. Then his turning of opinion against women came not because he saw how competent Meghan was, but because he fell in love with her. I understand that his actions and words to shut people out had to do with his backstory and his own pain, but it was misplaced blame in the first place. It would have been redeeming if somewhere along the way he expressed his change of opinion in fully supporting female agents, but we never even found out if that was his changed view or not. My only other complaint is that this book is a little sparse on real emotions. As the most glaring example, when a family member of one of the agents suddenly passes away, there is only dialog in the scene where that member reveals the news to other agents. No sharing of the grief, no talk of shocked faces around the room. It seemed incredibly flat. This was the first novel by DiAnn Mills that I've read, and I couldn't tell you if this is symptomatic of her regular writing style or not. I might not be rushing out to buy the author's latest book, but I wouldn't necessarily be opposed to reading more, either. 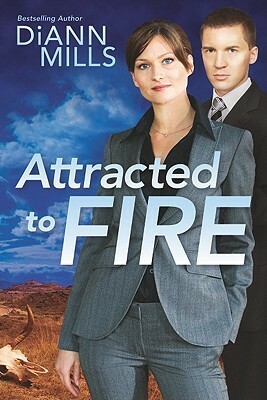 This one had a good plot, just not a lot of spark. Author C.J. Darlington is a home school graduate and a lover of antique books, two things she and I have in common. I've heard about her novels since her first book debuted in 2009, and I always thought I would enjoy them. 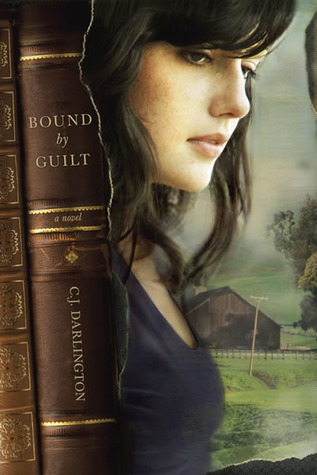 I was happy to be proved right in reading "Bound By Guilt." Roxi Gold's life has been anything but golden. At sixteen, she's been through several foster homes and finally ended up with her mother's cousin Irene and her son Diego. Wanting to be accepted and loved within this thin family connection, Roxi goes along with Irene's method of supporting the family: casing and robbing used book stores of first editions and other noteworthy titles. She knows it's not right, but it's a way to survive. Until the night the worst happens and Roxi, Irene, and Diego are not just on the run for robbery but murder. Abby Dawson's life has reached a turning point. Frustrations from failures in her personal life have bled over into her job as a cop, and Abby finds herself suspended from the police force. The news of her brother's death further rocks her world, and Abby heads west to try to comfort the father with whom she has a tenuous relationship, as well as investigate the robbery gone wrong at their family business. As Roxi runs from guilt and Abby pushes forward with intensity, both are being pursued by a Love beyond their comprehension. The people that each of them meet along the way show them that there can be peace and forgiveness and healing found even in our mistakes and messes. It comes from beyond ourselves and from One who has already taken all our sorrows upon Himself. I only have one caution about this book: Do not read it if you are hungry! I read this while I was traveling and didn't have many snacks on hand, so Roxi's frequent encounters with hunger only fueled my own desire to get to the next stop and my next meal. This proves Darlington's writing is descriptive and true to life! Be sure to have things to munch on when you settle in to read this title. I found out later this is actually the second book in a trilogy, but it worked perfectly as a stand-alone. 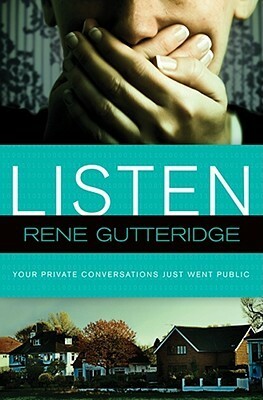 This would be especially enjoyable for all the mystery and suspense lovers out there! Current Mood: hungry - dinner is almost ready!